The browser extension seems to be automatically detected and recommended for introduction, but in case of portable version it is necessary to install from the extended store. Great extension, I use it in my config! Such a great extension! I'd recommend using it! 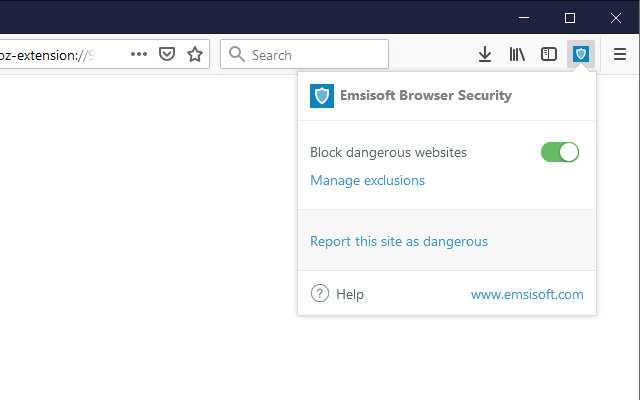 When using the extension together with Emsisoft Anti-Malware it almost never blocks anything. Anti-Malware almost all the time blocks first. So not really convinced of its value when using Anti-Malware. This comment may be helpful. That is due to the way both of those components are implemented. Essentially the Surf Protection at the moment watches outgoing traffic. Such traffic is checked against an IP blacklist. We also look at the actual data to figure out whether or not it looks like a HTTP request or alternatively like a TLS handshake. In both cases, we extract hostnames from the data as well and check against the hostname blocklist. 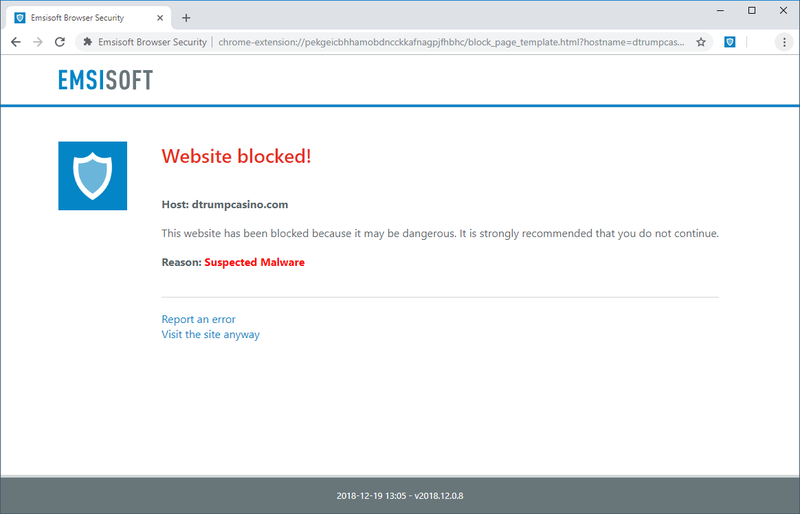 Based on that, it should be obvious that the EAM Surf Protection will always be first when it comes to checking whether a site contacted is malicious or not. Only after the browser started downloading the HTML and started displaying it, it will actually consult the extension. So it will always be the second. This is the decoded data that the extension gets back from the server when you visit docs.google.com. The extension can take this information, in this particular case regular expressions to match against the entire URL, and determine if it matches the website being displayed/visited. And only if that website matches, we block it. However, you can go to any of the other documents hosted at Google Docs without us interfering. So that's the real power that the web extension has over the Surf Protection. For malware it's less interesting, and the very first versions that were online, didn't even have the malware block list in the cloud backend, but only phishing related entries, but since the very first thing people did was go to VX Vault and download malware samples, we decided to include all the surf protection data in the cloud and also to make the extension watch downloads.